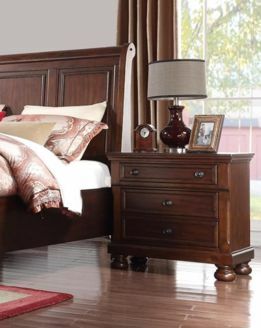 You'll never want to leave the comfort of your bedroom again with the addition of our sturdy and timeless Prescott Sleigh Bed. 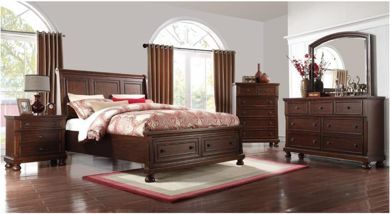 Visually stunning and elegant, the Prescott collection of bedroom furnishings fills a room with brightness and charm. Clean, modern design elements along with a fresh, bright look will transform your bedroom into a haven of serenity and relaxation. 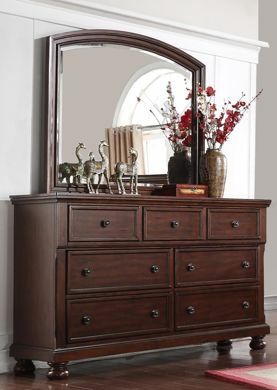 This Sleigh Bed features rich cherry brown finish, and make it a stress-free and easy way to coordinate countless room environments and decor. 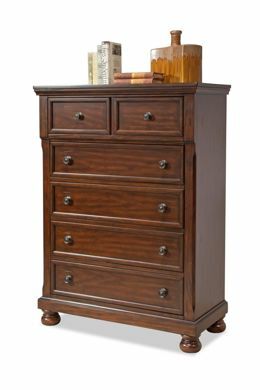 Additional features include storage footboard with 2 drawers.